Aquabot High Pressure Water Bottle - 650ML | BUDK.com - Knives & Swords At The Lowest Prices! 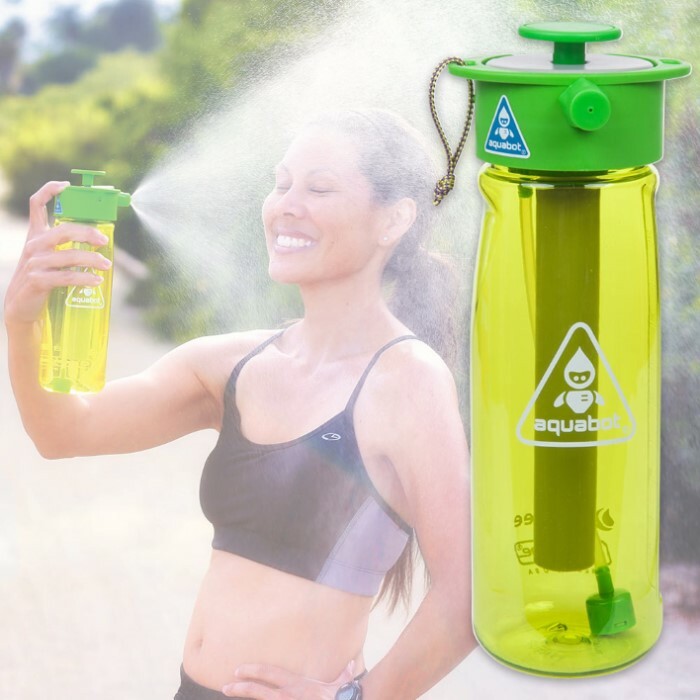 The Aquabot High Pressure Water Bottle is a high pressure water bottle that allows you to cool off, clean off, hydrate and have fun with just your water bottle. It has shower, stream and mist patterns and sprays over 25 feet. This 650ml bottle is built to be durable and easily maintained. You can disassemble and reassemble without any tools. It’s made of BPA free plastic and requires no batteries. The Aquabot is perfect for youth sports, military, camping, pets, hunting, fishing, gardening and more.